What better way to start the year than by sharing with you what I got during the Christmas holidays in Berlin. 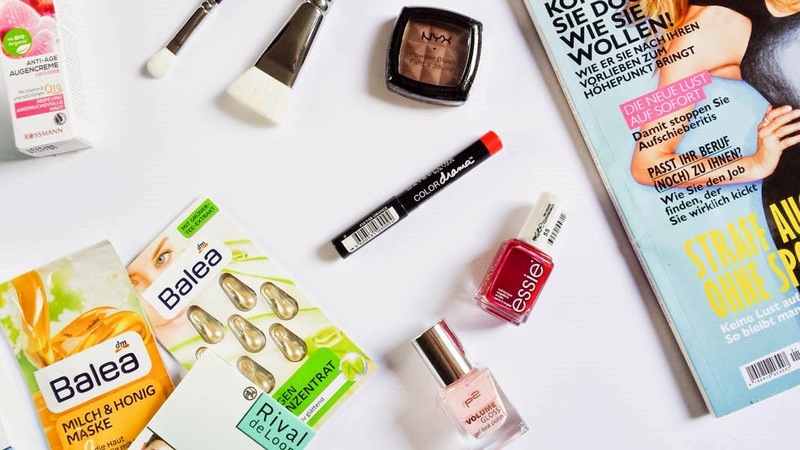 Drugstores in Germany are amazing! There are so many products and variety and the prices are really good. 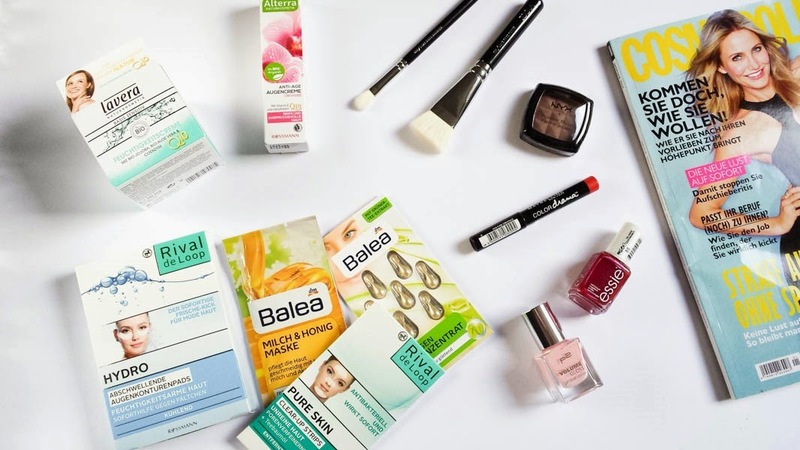 Some natural skin care products. 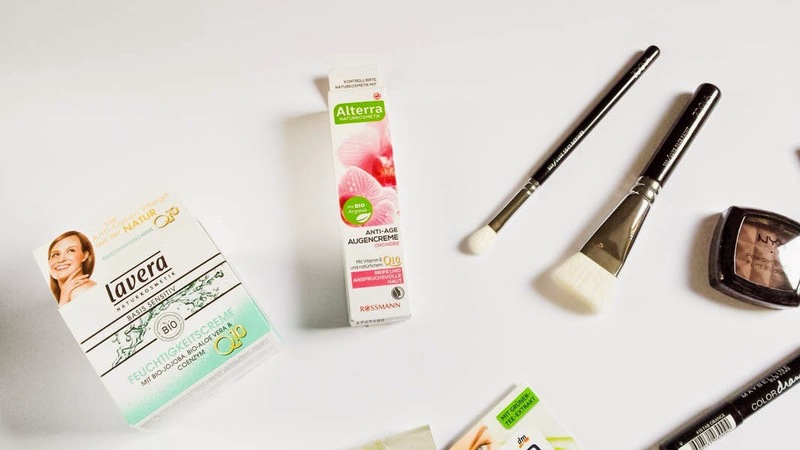 Lavera Basis Sensitive Moisturizing Cream Q10, so exited to try this, I'm really enjoying Lavera products lately; and Alterra Orchid Bio Eye Cream. Face & Eyes Masks. The selection of masks was unbelievable, it was so hard to choose! 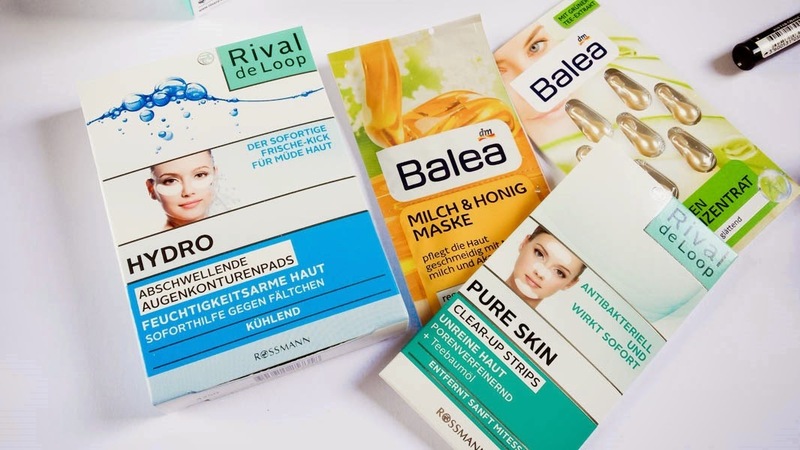 I chose the Rival de Loop Eye Contour Patches, for refresh the skin around the eyes and soften fine lines; Rival de Loop Pure Skin Clear-Up Strips for a deep cleansing of the nose, forehead and chin; Balea Milk & Honey Mask for stressed skin and the Balea Eyes Concentrate Capsules. Makeup Brushes. I'm so happy that I found Zoeva brushes there, I bought the brush number 109 Face Paint for contouring. The other brush is the 227 Luxe Soft Designer, this comes with the current issue of Cosmopolitan magazine, it's 3 € only! Nail polishes. A new Essie nail polish for my collection, this is called A-list. I also picked up up this P2 nail polish which I've seen in lots of blogs before, It's a lovely opaque baby pink shade called Little Princess. Make up. Finally I got my hands on this blush from Nyx in the colour Taupe, which apparently is amazing for contouring. I also bought the new Maybelline Color Drama Lip Pencil in the shade Fab Orange. 6 comments on "Berlin Haul"